Theplanwas put forward by NSW Planning Assessment Commission (PAC), an independent panel of experts in planning, urban design and land economics. The PAC panel of experts is seeking to solve the problems of noise, air quality and visual impacts from the Mount Thorley-Warkworth mine possible expansion on the nearby hamlet of Bulga. "The Commission considers that the project will undoubtedly have a range of adverse impacts on Bulga village and its community," says the report. If the proposal is approved then about 350 people will be relocated, says the report. The enlargement of the mine will include swallowing up about 698 hectares of land. The document says Rio Tinto Group, the world’s second-biggest mining company and owner of the mine, needs to give "serious consideration" to pay compensation to the village residents. PAC said that the relocation will see many positive effects, including boosting the state economy by $1.5 billion and safeguarding 1,187 jobs over the next 14 years. "The Hunter region desperately needs this economic boost, because you only have to look over the last two years and we've seen almost 2,000 coal miners in the Hunter lose their jobs," CFMEU Northern District President Peter Jordan said. “I think the PAC is really out of touch, this village is a sprawl, I’m not sure how you’d relocate everyone,” he told the Guardian Australia. @CycloneCharlie8 bit sad really. Feel sorry for the villagers of Bulga who will be pushed out just to dig out the coal under it. “The idea of relocating has not been discussed in the past, it has come out of the blue,” Harris’s neighbor, 70-year-old Stewart Mitchell added. “They talk about relocating the village but there’s no mention of the neighboring properties. How do you relocate a 180-acre property?" @mrl58@gerriDarcey PAC "Bulga moved at the expense of the New South Wales Government and Rio" Unbelievable. 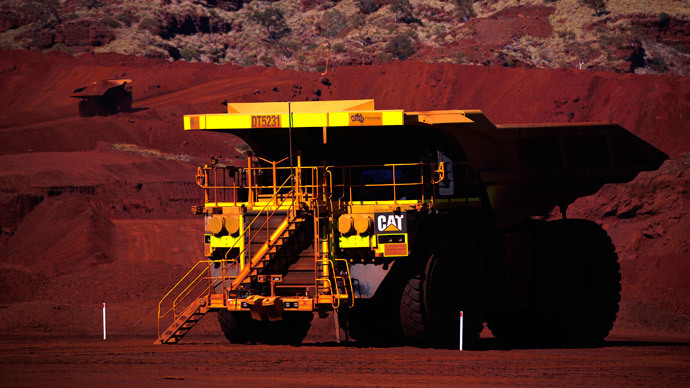 Rio Tinto would wait for the NSW government’s response to the report before making any steps to move the village, the company’s spokesman told the Guardian Australia.